The popular Italian style full loaf submarine sandwiches have been the mainstay of the business from the beginning. Local residents as well as Kent State University students and faculty find their favorite delicatessen cravings at “The Deli.” At times the menu features as many as fifty different sandwiches, all packed with your favorite ingredients. And you will not find a better bowl of Homemade Soup — whether it's Italian ethnic, American traditional, or Bistro avant-grade. Plus 1,000's of bowls of Carl’s “Damn near famous Chili” have been served up! It was about this time (January), 1983, that we were finalizing plans for a move from Ravenna to Kent and a completely new restaurant operation, differing from my roots significantly (DeMari's Submarines) but not entirely. I was 25 at the time, and absolutely filled with only enthusiasm and hope (and just enough $ to get it all going!). Had a partner in the beginning, Tom Knapp Sr., my motocross buddy on the weekends (and best friends dad! ), and I have had my right hand person in Ms. Jill Wymer for the duration of both restaurants, an unbelievable achievement and I could never ever thank her enough for hanging in there with me and literally hundreds of staff members, some of you may be reading this now, all who helped make it possible. 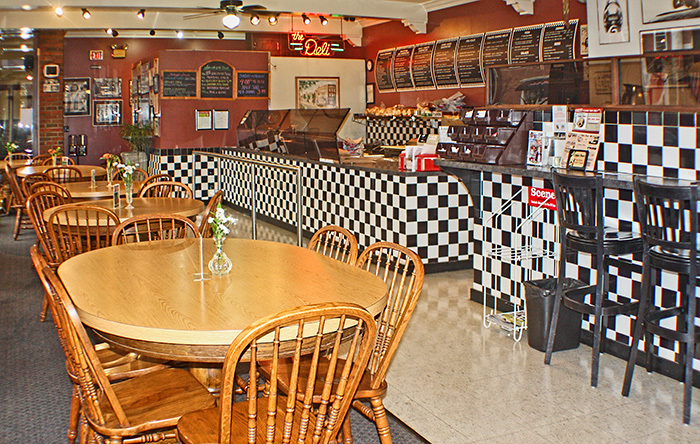 You just never know where the trail will take you, but here we are, 35 years later, Franklin Square Deli is a well known eatery in Kent, and just like the very first day, we are still striving to make every customers sandwiches, soup, or Party Tray as perfect as we can. There are so many of you out there that have contributed to the success of this business, many, many thousands over the span, and I just wish you could all see this little note of appreciation. Your contributions put the wind in the sails of sustainability.